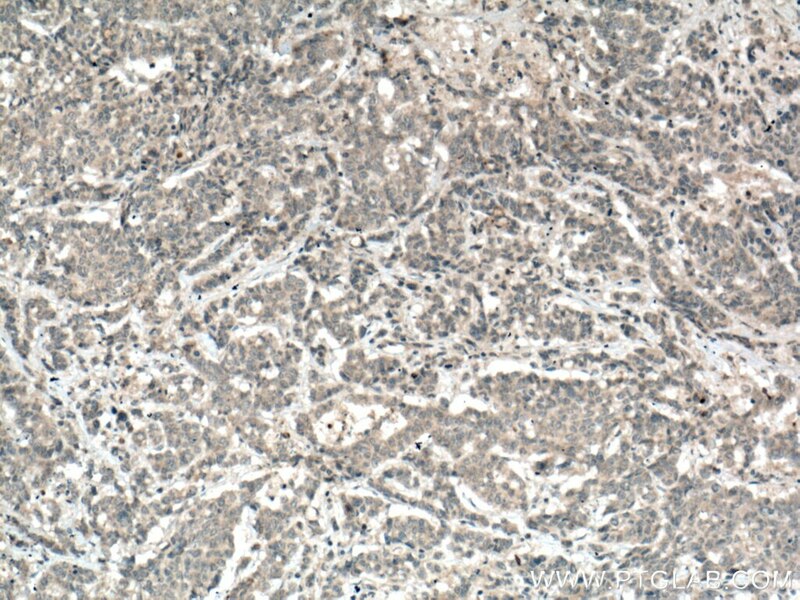 Immunohistochemical analysis of paraffin-embedded human breast hyperplasia tissue slide using 10734-1-AP( MGP antibody) at dilution of 1:400 (under 10x lens) heat mediated antigen retrieved with Tris-EDTA buffer(pH9). 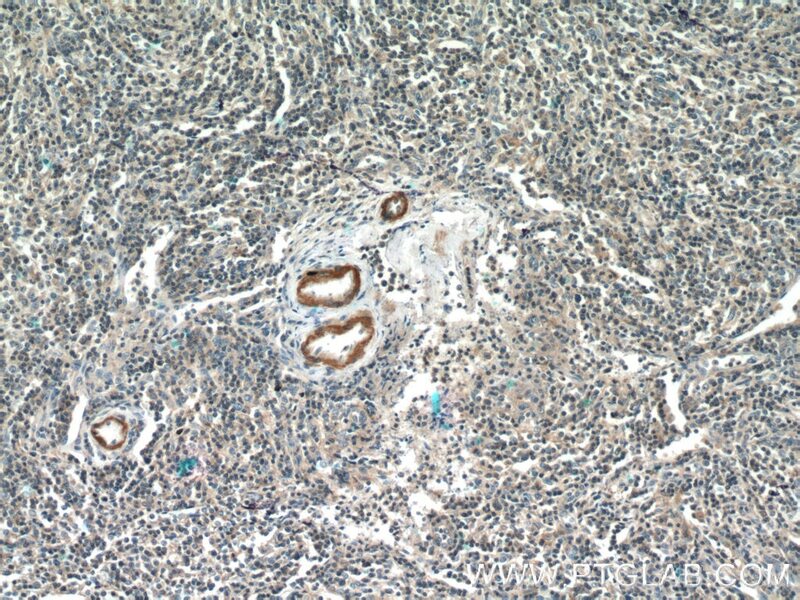 Immunohistochemical analysis of paraffin-embedded human breast hyperplasia tissue slide using 10734-1-AP( MGP antibody) at dilution of 1:400 (under 40x lens) heat mediated antigen retrieved with Tris-EDTA buffer(pH9). 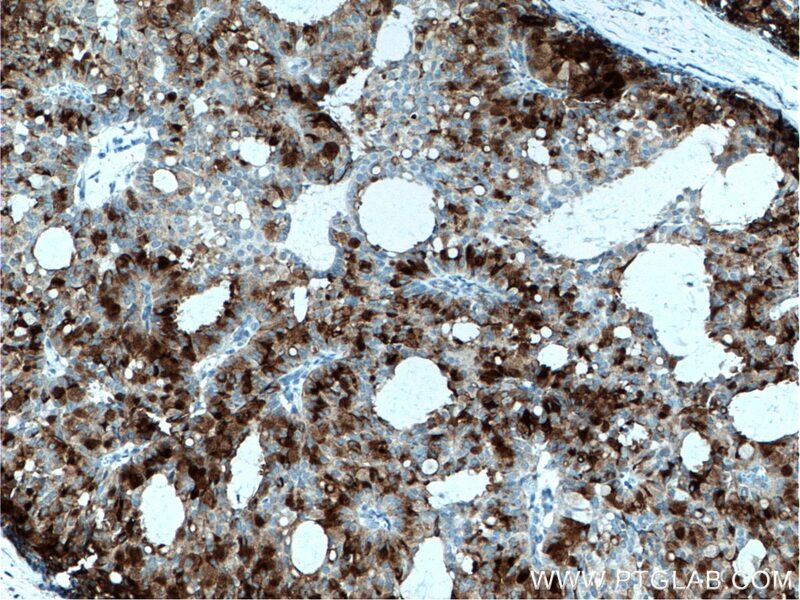 Matrix Gla protein (MGP), a vitamin K-dependent protein, is recognized as a calcification inhibitor in vascular tissue. Defects in MGP are the cause of Keutel syndrome (KS), which is an autosomal recessive disorder characterized by abnormal cartilage calcification, peripheral pulmonary stenosis neural hearing loss and midfacial hypoplasia. Matrix gla protein: An extracellular matrix protein regulates myostatin expression in the muscle developmental program. High concentration of calcium promotes mineralization in NRK52E cells via inhibiting the expression of matrix Gla protein. 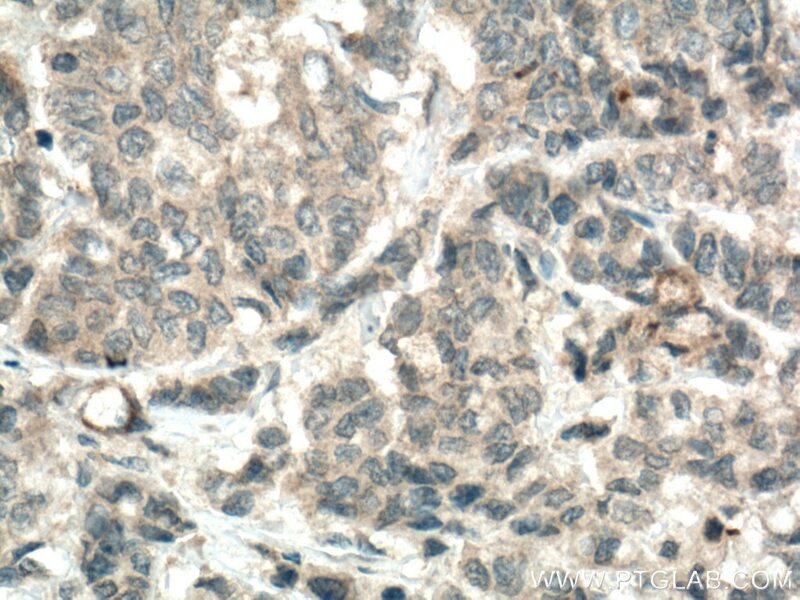 The Role of Matrix Gla Protein (MGP) Expression in Paclitaxel and Topotecan Resistant Ovarian Cancer Cell Lines. Juvenile dermatomyositis calcifications selectively displayed markers of bone formation. Using gene expression to predict the secretome of differentiating human preadipocytes. 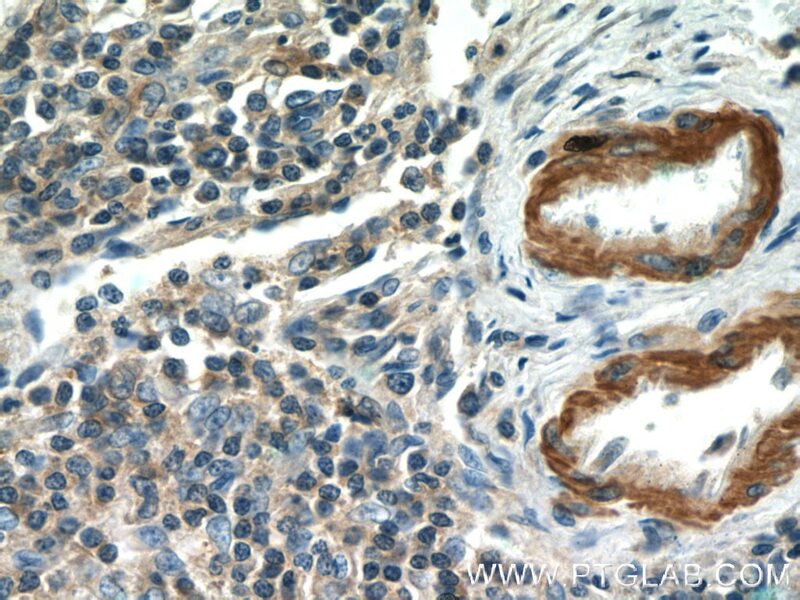 Immunohistochemical analysis of paraffin-embedded human breast cancer tissue slide using 10734-1-AP( MGP antibody) at dilution of 1:200 (under 10x lens) heat mediated antigen retrieved with Tris-EDTA buffer(pH9). 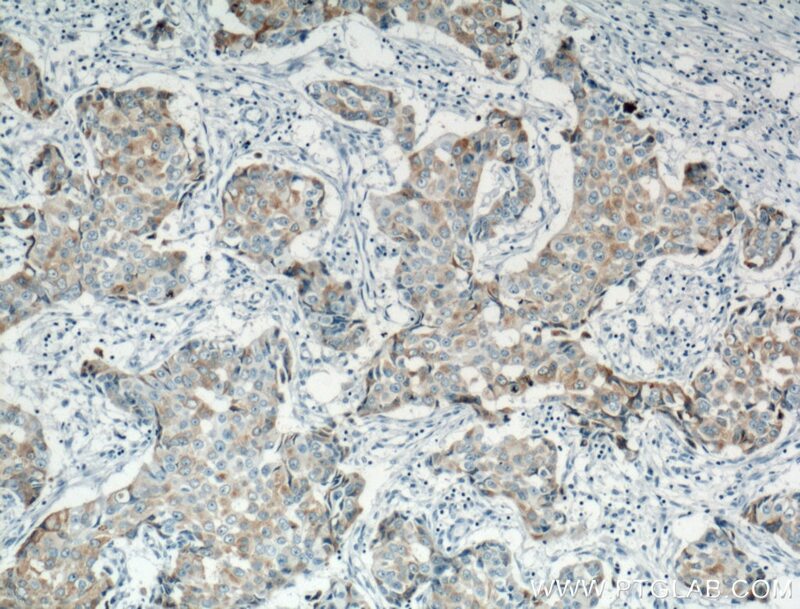 Immunohistochemical analysis of paraffin-embedded human breast cancer tissue slide using 10734-1-AP( MGP antibody) at dilution of 1:200 (under 40x lens) heat mediated antigen retrieved with Tris-EDTA buffer(pH9). 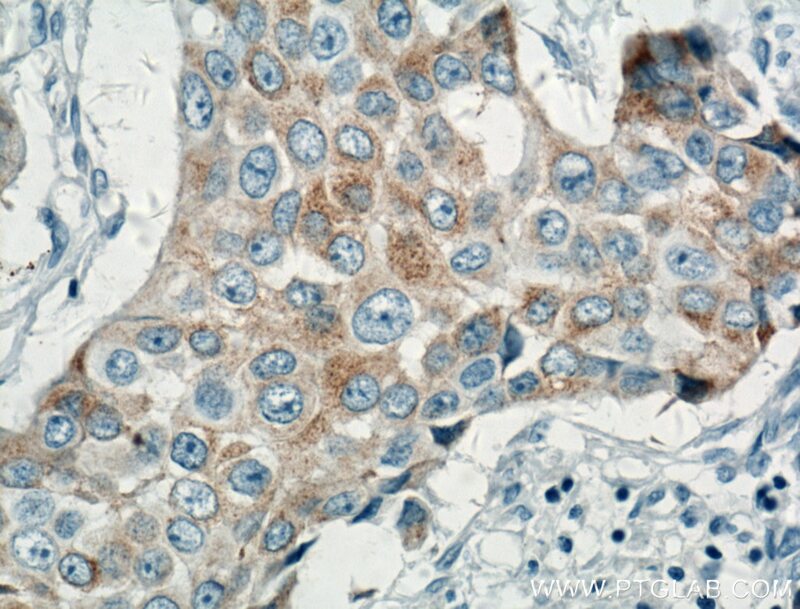 Immunohistochemical analysis of paraffin-embedded human colon cancer tissue slide using 10734-1-AP (MGP antibody) at dilution of 1:200 (under 10x lens) heat mediated antigen retrieved with Tris-EDTA buffer(pH9). 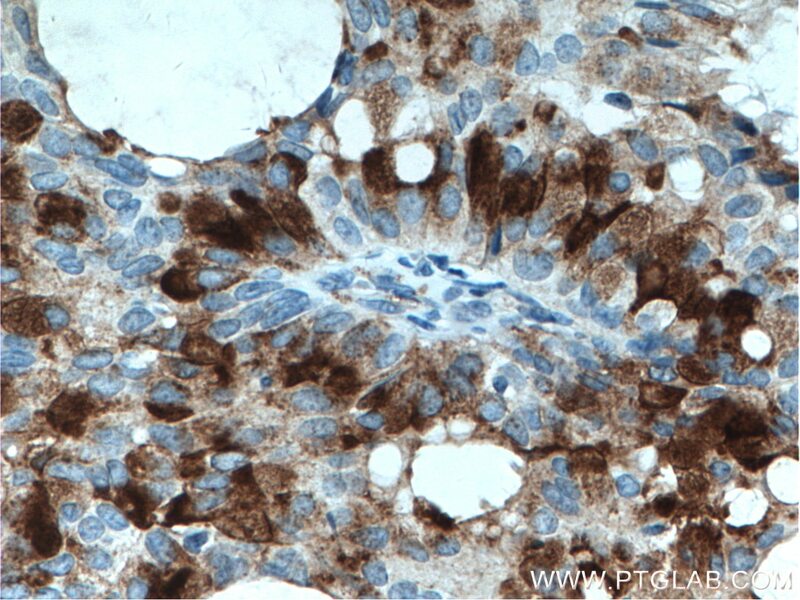 Immunohistochemical analysis of paraffin-embedded human colon cancer tissue slide using 10734-1-AP (MGP antibody) at dilution of 1:200 (under 40x lens) heat mediated antigen retrieved with Tris-EDTA buffer(pH9).